A major benefit of constructing a building virtually is the cost savings gained by identifying errors in the design before they are found on site. One of the more common errors that can be avoided is when two objects overlap in space or clash. 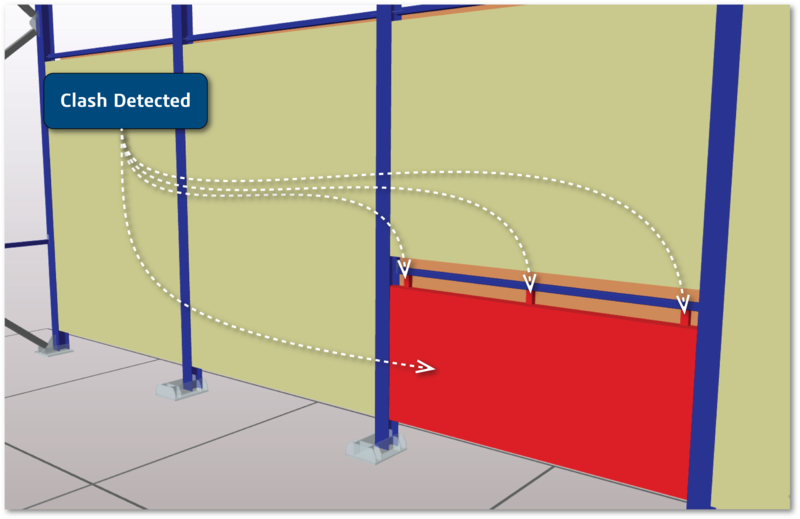 For example a beam that should stop at a wall may have been wrongly dimensioned so that when placed on site, it passes through the wall. Right through or only partly through, either way it is very costly to fix if it is only identified as the wall is being built . 3D computer-aided design (CAD) files are integral to today’s manufacturing processes. On the surface, the idea is sound: an engineering team will design a part and, in turn, will send the necessary 3D CAD files to the manufacturer to produce the part. To manufacture a design, the engineering or design team must send its computer-aided design (CAD) files to the manufacturer. In turn, the manufacturer would rely on the CAD file to feed its machining (subtractive) or 3D printers (additive) systems, which would produce the part.